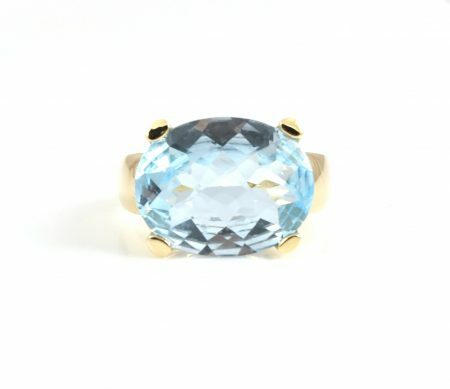 A 14K yellow gold Blue Topaz cocktail ring. Featuring a 12.00ct Oval Blue Topaz, set in a four claw setting. Looking for a matching piece of jewellery to add to your collection? Click here to view our collection.